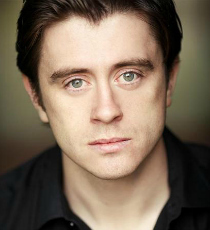 Brian Gilligan has starred as Deco in the UK Tour of the Commitments and also appeared on stage as Cornelius in Doctor Faustus (The Duke of York’s Theatre). Further stage roles include Bruno in Piaf (Charing Cross Theatre), Billy “The Animal” Mooney in The Commitments (Phil McIntyre Productions) and Perchik in Fiddler on the Roof (Jim Molloy Productions). He has featured in television shows Bachelors Walk and Damo and Ivor. Brian is also a very talented singer.